The initial public offering of Infibeam Incorporation Ltd, the parent of horizontal e-commerce platform Infibeam and e-commerce enabler BuildaBazaar, was covered just 21 per cent at the end of day one on Monday, stock-exchange data show. Qualified institutional buyers (QIBs) bid for around 22 per cent of their quota while non-institutional investors bid for about 20 per cent of the shares set aside for them. The portion reserved for retail investors was covered about 17 per cent. Unlike some recent IPOs, Infibeam has not allotted any shares to anchor investors. Infibeam also happens to be an exception in the Indian e-commerce sector where firms have absorbed billions in venture funding while it didn't bring any significant external investor. The company has set the price band for the IPO between Rs 360 and Rs 432 a share. The issue will close on Wednesday. Infibeam had received a green signal from The Securities and Exchange Board of India for the IPO to raise up to Rs 450 crore last October. The IPO makes Infibeam the first among peers, including those several times bigger, to go public. Indeed, the issue will send an indicator on public markets' interest in the sector. Analysts have been questioning the rising valuation of e-commerce firms. An investor in the biggest Indian e-commerce firm, Flipkart, recently wrote down the value of its investment. (click here for another take on this disclosure). Founded in 2010 by former Amazon executive Vishal Mehta, Infibeam will also be one of the youngest firms to list on a national bourse. Having restricted itself from raising private capital, unlike its peers, it did not get too aggressive in customer acquisition to drive the B2C business and has been especially pushing the B2B e-commerce enabler platform BuildaBazaar. It is promoted by a Gujarat-based affluent family whose business interest straddles a dealership for Toyota cars. 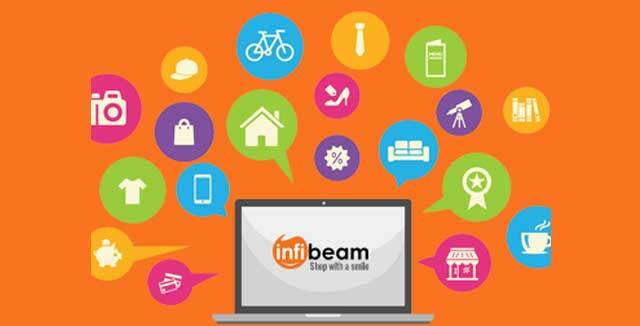 For full details on Infibeam's IPO, click here.